A wonderful biography of the undisputed king of celebrity chefs, Neil Simpson paints a fascinating picture of the man in full, and uncovers the secret tragedies that turned Gordon Ramsay into one of the most driven, successful and angry men in Britain. He details: the violent, alcoholic, absent father who died just days after the pair had been reconciled as adults; the best-friend and protege whose bizarre suicide came hours after the two had shared a final meal; the decade-long battle to save his younger brother from heroin addiction and crime; and, the real reason why Gordon wasn't at the birth of any of his four children - and has never changed a nappy in his life. 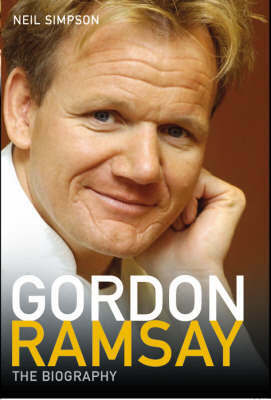 Sometimes hilarious and frequently heart-breaking, Gordon Ramsay's life story runs from the council estates of Glasgow and the picture post-card countryside of Stratford-upon-Avon to some of the finest and most expensive restaurants in the world. This is his incredible, inspiring story.